William F. Kennedy is a partner in Nutter's Corporate and Transactions Department, chair of the firm's Public Policy group and a member of the Public Finance group. Bill concentrates his practice on public law strategy, government relations and administrative law. He counsels the firm's clients in the areas of regulatory enforcement, compliance and public policy. Prior to joining Nutter, Bill was a public servant of the Commonwealth of Massachusetts for ten years. He was chief of staff and chief legal counsel to the former Massachusetts Speaker of the House of Representatives. From 1992 to 1996, he served as chief of staff and chief legal counsel to the House Ways and Means Committee. From 1990 to 1992, he served as an assistant clerk to the Supreme Judicial Court of Massachusetts for Suffolk County. In 1990 he also served as an attorney for the Executive Council of the Commonwealth of Massachusetts, and assisted in approving judicial nominations. Bill began his legal career in private practice in 1980. 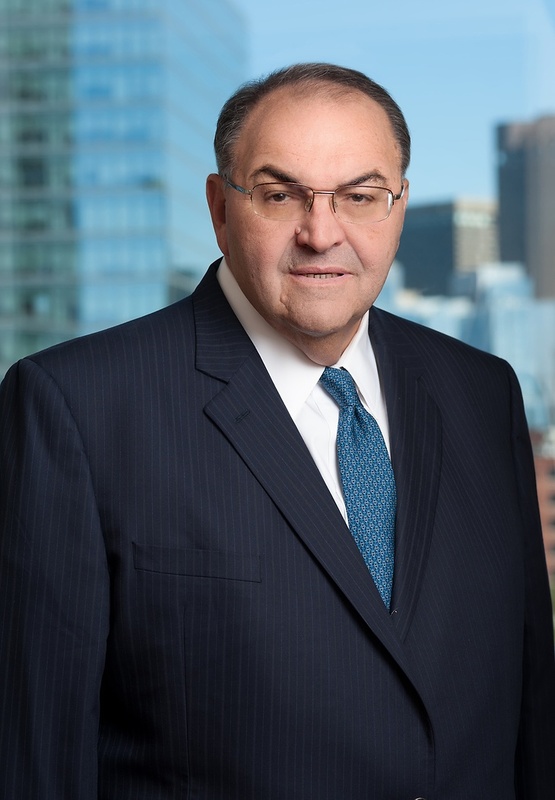 Since 1982 he has been a member of the adjunct faculty of Suffolk University Law School, teaching evidence, ethics, legislation, administrative law, criminal procedure and legal writing. He was the founder and associate director of the Suffolk University Legal Assistance Bureau. Bill is a former member of the Judicial Nominating Committee, and former chairman of the Massachusetts Board of Bar Examiners, the University of Massachusetts Board of Trustees, the Board of Directors of the Massachusetts Taxpayers Association and the Board of Directors of the Massachusetts Business Roundtable. He is also a trustee of the Emmanuel College, the University of Massachusetts Building Authority, Project Bread and Pope John Paul Academy. Bill is also a member of the New England Association of Schools and Colleges (NEASC) commission on Higher Education. Bill is also a member of the Boston Red Sox Foundation Advisory Council. He was honored in 2003 by the Children’s Trust Fund at the organization’s 2003 gala for his many years of service. Bill has also been recognized as the "Crusader of the Year" by Holy Cross College and “Father of the Year” by the American Diabetes Association. Bill was selected for Massachusetts Super Lawyers by Boston magazine. While in law school, Bill was an editor of the Suffolk University Law Review. Active in numerous civic organizations, Bill has been recognized as the "Crusader of the Year" by Holy Cross College and “Father of the Year” by the American Diabetes Association. He also received the “Justice and Compassion Award” from Catholic Charities and was honored by the Children’s Trust Fund for his many years of service.